Camp Chef are becoming one the leading options when it comes to pellet grills and smokers due to their large range of very high quality grills at very reasonable prices. 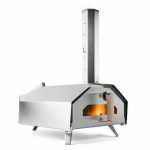 They’ve already got a substantial range of other products, including one of the best mid range pizza ovens on the market today. And it’s this quality that has led to Camp Chef’s smoker range to receive such good reviews. So, today we’ll take you through our review of the Camp Chef SmokePro DLX Pellet Grill, our favorite from Camp Chef’s range that made it onto our list of the Best Pellet Smokers available today. We’ll go through everything that we love about it and let you know what you need to be aware of if you’re thinking of buying one. The general build quality of the main smoking body and legs is very good. It’s made from high quality metals with a nice paint finish. These smokers have been proven to last for years and that’s not surprising when you look at the general quality of the build. The only thing about the build quality that isn’t brilliant is how it reacts to adverse weather conditions. 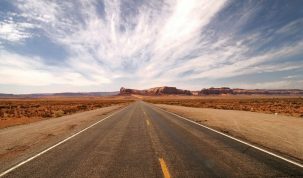 When the wind is strong or there’s heavy rain it can struggle to reach the higher temperatures, but a simple wind break or cover can sort that problem out. Our favorite aspects of the SmokePro DLX are the innovative design features that Camp Chef have added to make cooking on this smoke as good of an experience as possible. The first is the built in temperature probe. 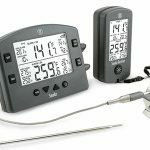 If you’ve read around on King of the Coals, you’ll know that we are huge advocates of using digital thermometers when grilling or smoking, and to have a quality digital thermometer built into the smoker is a great feature. We’d still probably recommend using another one to get additional temperature readings, but this is a great feature to have built in. Another feature we love is the power failure restart. If the power is cut off during a cook, it will restart itself so you don’t have the huge disappointment of waking up in the morning to a half cooked brisket. Other nice design features are the fact that the LED readout has a dual temperature display, the auto start ignition makes starting the SmokePro DLX super easy and the auger and temperature controls work incredibly well. 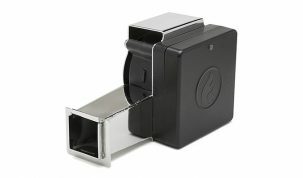 All of this combined gives a very easy to use, efficient and effective smoker. The only slight gripe with the design is the interface of the controls. The dial and the small screen work fine but they both seem quite dated and we would have liked to have seen a slightly more updated control system. This isn’t a problem and doesn’t affect how it performs, but it would have been nice to see Camp Chef try and innovate here as well. As the Camp Chef SmokePro DLX is a pellet grill, it comes with all the advantages that every pellet grill has. 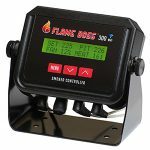 It has a great temperature range 160 to 500°F (71 to 260°C) and a super fast heat up time. 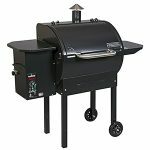 Pellet grills are one of the most convenient grills you can buy due to their ability to do all of the hard work for you, buy continuously feeding the burner with wood pellets. The SmokePro DLX also has a very precise temperature setting that allows you to cook to the exact temperature you want without any effort. They truly are the easiest way to get some of the best tasting barbecue possible. One of the worst thing about owning a pellet smoker is that the ash from the hardwood pellets builds up in the bottom of the smoker. This can be a chore to clean at the best of times and a nightmare if at the worst. But Camp Chef have reviewed the problems that people have had and have installed a fantastic feature that completely solves this problem. It’s a patented ash cleaning mechanism that they simply call the Ash Cleanout system. How it works is underneath the fire pit is a small sheet of metal on a spring that can slide out of the way and releases the ash into a small metal cup below. Whilst it doesn’t catch all of the ash, it does a great job at catching most of it and making it incredibly easy to clean. 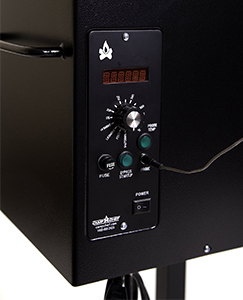 The control system for the Camp Chef SmokePro DLX is very easy to use. 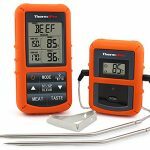 It has a simple dial with pre-set temperatures and modes that make cooking your food as easy as possible. It even has a built in cooldown function that keeps your food just right after the main cook has finished. 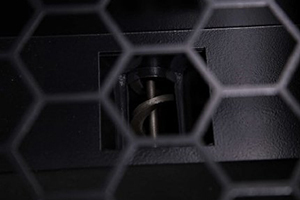 Another small feature that we really like is the easy access fuse on the front panel. There is always a chance that the fuse will blow on your pellet grill, and having a super easy access port on the front will save a lot of hassle. There is also a pellet dump to remove any excess pellets in the hopper. This works well if you have a hopper full of pellets. It can be a bit tricky to remove the last few pellets due to the safety grate in the hopper. 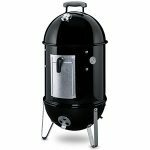 Great tasting food – Pellet smokers are almost as good as classic charcoal for taste and the Camp Chef has a great woody, smoky flavor that will rival any charcoal smoker. Innovative Design – There are some great design features that make the SmokePro DLX one of the easiest to use pellet smokers we’ve tried. The ash cleanout system is the best one here that makes cleaning up much easier with a simple and elegant design solution. Even cooking – The temperature control system and auger work together brilliantly to give you the ability to have a very precise and consistent cooking experience. The build quality and the main body of the smoker also help to keep the cooking area very even, meaning that you won’t get hot and cold spots. Very efficient – The Camp Chef is one of the most efficient pellet smokers we’ve cooked on. 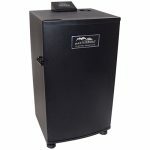 Well Priced – You’ll be very hard pressed to find a better pellet smoker at the same price point as the Camp Chef SmokPro DLX. Warranty – Camp Chef have shown again that they listen to customers. Previously they offered a 1 year warranty on all Camp Chef Pellet Smokers. 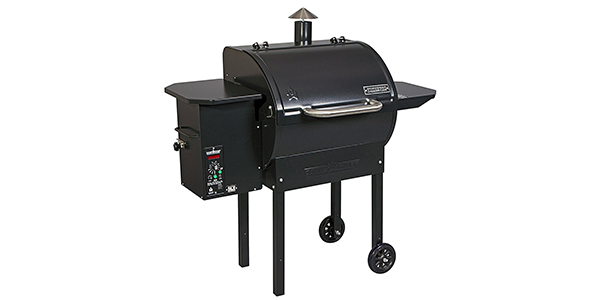 But after a few complaints and comparisons to Traeger’s 3 year warranty as standard, they have taken the plunge and shown that they truly back their product by extending their warranty to 3 years. 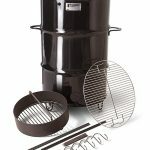 Now is a better time than ever to buy yourself a Camp Chef Smoker. If you’re looking for more types of ribs like the ones in the picture, then check out our post: 8 Different Types of Ribs. It’s a little small – The size isn’t necessarily bad it’s just when you compare this to other pellet smokers the Camp Chef does lack a little space on the main cooking area. Don’t think this is a deal breaker though, you’ll be able to fit two mid-sized turkeys on it without a problem. Can be difficult to remove excess pellets – Whilst you can leave pellets in the hopper you might want to change pellets for different flavors or just for better storage. This can be a little tricky due to the safety grate over the entrance to the auger. There is a pellet dump but it can still be a bit tricky to get them all out. The weather can ruin it – If you leave pellets in the smoker and the rain gets to them they can expand and jam the auger. This can take a long time to fix. The rain can also easily rust the metal. We’d highly recommend not keeping this outside unless you have a quality cover. The Camp Chef SmokePro DLX is a brilliant smoker that is at a price point that makes quality pellet smoking available to a lot more people. There are some incredibly innovative features that make using and cleaning it a breeze and make it one of the easiest pellet grills available today. It isn’t quite as good as the REC TEC pellet grill due to the build quality and size, but for the money this is a fantastic grill. 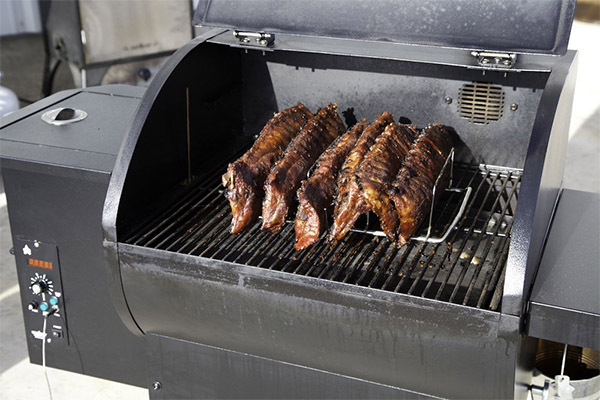 Like with any new grill, make sure you season your new Camp Chef smoker. If you need help with seasoning then check out our grill and smoker seasoning guide. If you need help with knowing what temperatures to cook different cuts of meat at, then check out our smoking times and temperatures charts for everything you need to know. Check out the Camp Chef Youtube Channel for informational videos and some quick recipes. Click here for the Camp Check SmokePro DLX manual. There is an additional sear box that you can buy for the side of the grill. 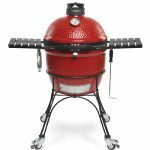 It’s a propane burner with stainless steel construction and enamel-coated cast iron grilling grates. As it runs on propane, you can be smoking low and slow on the main grill whilst quickly firing up some steaks on the side burner. This is a solid accessory that gives you even more options and versatility for your Camp Chef pellet grill. It’s not quite the same as searing on an infrared grill, but the outcome is still very good and we’d highly recommend it. 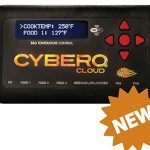 Check the latest price of the Camp Chef SmokePro BBQ Sear Box on Amazon. We hope this has helped you decide if the Camp Chef SmokePro DLX is the right pellet smoker for you. 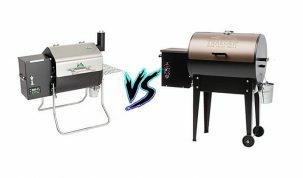 If you need more options then check out our other pellet grill reviews on our Best Pellet Smokers page for more information. Or contact us directly through the comments or our Facebook.